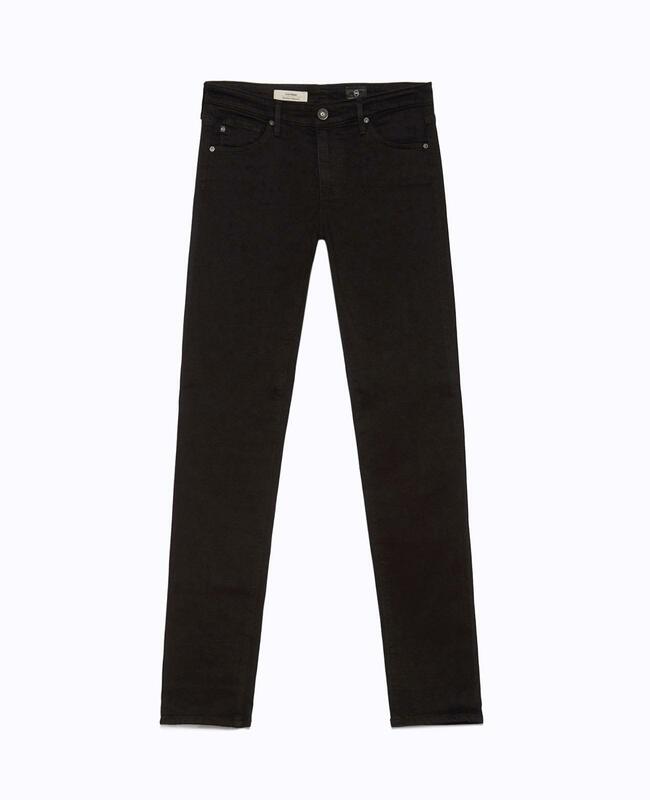 A black mid-rise cigarette leg (not too skinny) jean flatters with moderate coverage at the waist, creating a lengthened silhouette. Made with premium stretch for a close yet comfortable fit. Five-pocket design with tonal stitching and matte hardware. Zip fly, button closure. Fits true to size.